Loss of control, constant fear, and total distraction from normal life. The effects of panic disorder are truly troubling, and they are not helped by the other symptoms that can appear for women during menopause. Thankfully, this unfortunate condition can be managed, and it's easily done without expensive and risky prescriptions. Read on to learn about four herbal cures for menopausal panic disorder that can help you relax your way to recovery. 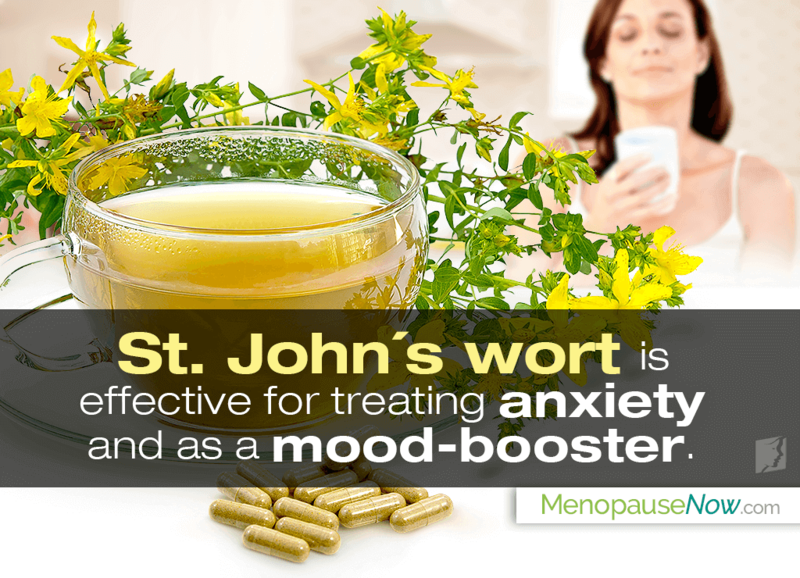 Revered as an herbal remedy since the times of ancient Greece, St. John's Wort is a calming herb that does wonders for a number of different mental conditions. It is best known for treating depression, but studies have since shown its effectiveness in treating anxiety, sleeping disorders, and nerve pain, among other conditions. This makes the herb beneficial not only as a cure for panic disorder, but also as a mood-booster by promoting healthy neurotransmitter function in the brain. Linden flower is an important herb for menopausal panic disorder in that its antidepressant properties provide a sense of calm. Panic attacks are also sometimes triggered by sleep deprivation, and this flower's success as a sleep aid may help in getting panic disorder sufferers back on track to normal sleep-wake cycles. Additionally, linden flower can be widely found, as it is native to North America, Europe, and Asia. It is often manufactured as herbal tea. By raising energy levels and increasing mental focus, ginseng can help to keep the mind from straying toward anxious thoughts that might trigger a panic attack. The herb can be particularly helpful for women going through menopause since it is rich in phytoestrogens, which can level out declining estrogen production in the body to relieve several menopausal symptoms at the source. Keep in mind that panic attacks and panic disorder among this demographic are often caused by hormonal imbalance. Maca has garnered high praise in recent years for its ability to stimulate natural hormone production by nourishing the endocrine glands. Moreover, the herb can be considered safe for long-term use because it does not introduce external hormones into the body, unlike ginseng's plant-based estrogens. Without a doubt, panic disorder can be a debilitating condition, only made worse by other symptoms of menopause. Luckily, you don't have to live with it forever. With a little initiative and research into herbs for menopausal panic disorder, you can find long-lasting relief from panic disorder treatments that work for you without ever stepping into a pharmacy. Talk to your doctor to start planning for relief today! Heinrich, M. et al. (2012). Fundamentals of Pharmacognosy and Phytotherapy. China: Elsevier. Available from Google Books. Panic disorder is a serious condition that can leave its sufferers terrified of the next attack. Thankfully, however, there are treatment options.